The stunning park-like setting is perfect for this cedar and stone sided home with sweeping vaults and a 2 story wall of windows. The open floor plan has been freshly painted in neutral colors, and the kitchen and main floor baths have new vinyl, cedar siding sealed approx. 2015. Seller will provide a $1600 carpet allowance as a closing cost credit. New furnace and water heater in 2017. Landscape boulders and beds with hostas that are perfect for the shaded oasis that surrounds the house. Culligan water filtration and UV system. The floor plan is open and inviting, and the 2 story vaults in the great room and family room with floor to ceiling windows bring the beauty of the outside in. The side load garage elevation walks into the finished basement, with a beautiful 3/4 bath that has a platform built-in for a hot tub. A central workbench in the garage stays too! 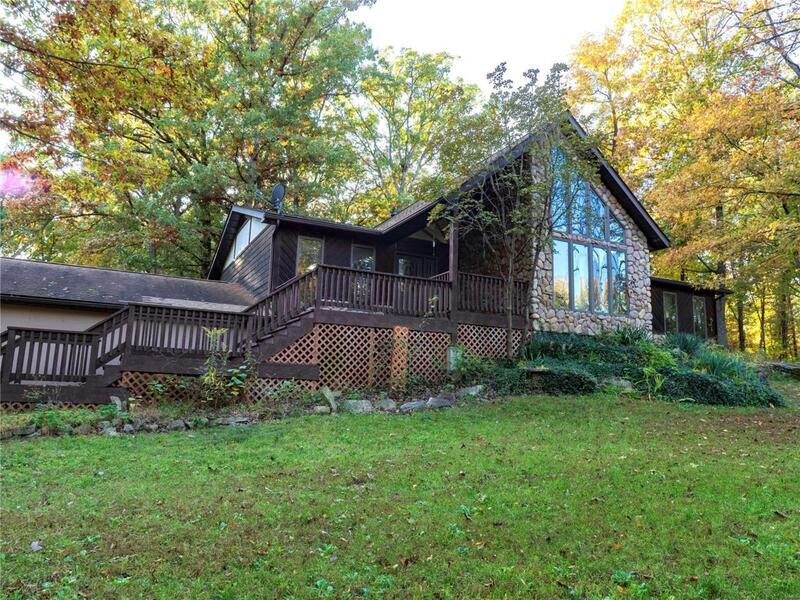 Most of the acre is wooded, and a creek borders one edge of the property. This country property has DSL Broadband service. Cross Street Address Stamm Ln.